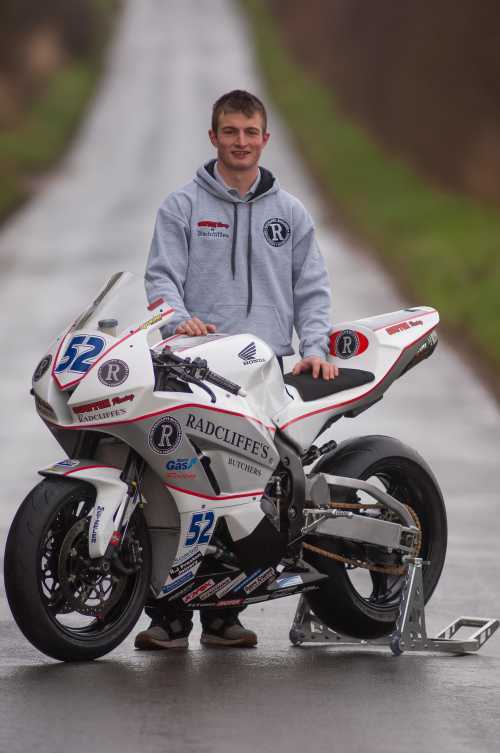 Having established himself as one of the sport’s fastest rising stars in recent years, James Cowton goes into this season with top class new machinery. 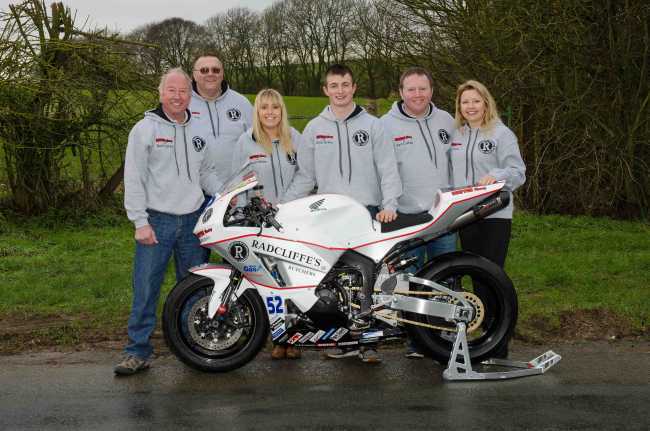 Cowton Racing by Radcliffe’s ER6 Kawasaki, CBR 600 Honda and S1000RR BMW will all feature a striking new silver, red and white livery for the 2016 Isle of Man TT Races fuelled by Monster Energy and other road races. 2015 saw him prove once again why many consider him a TT winner in the making. His main highlights from last year on the roads included lapping in excess of 125 mph on his way to a highly credible top 20 placing in the PokerStars Senior TT, a number of top three finishes in SuperTwin encounters around Oliver’s Mount, new Super Twins lap record at the Cookstown 100, fourth place finish in the Lightweight TT and third position in the Lightweight 250 Ulster Grand Prix. James’ TT career highlight to date is undoubtedly his podium in the 2014 Bennetts Lightweight TT Race and he is a consistent top 20 performer in all classes since his Mountain Course debut in 2012 when he won the MGP Newcomer C Race and finished fourth in the Junior MGP. Chris Lennon of Radcliffe Butchers, the Isle of Man based premium food retailer, has been sponsoring James for three years. He has full confidence in him gaining the maximum out of the Cowton Racing by Radcliffe’s stable of machinery. With the new regulations for the two Monster Energy Supersport races at TT 2016 anticipated to level the playing field, James, who will be piloting a new top spec CBR 600 Honda, is confident of securing stand out results. As well as TT 2016, all four Oliver’s Mount meetings and return to the Southern 100, James is also planning to be back at the North West 200 and the Ulster Grand Prix.